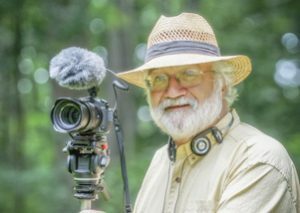 Bob is a Sony Artisan of Imagery and has become an avid filmmaker, shooting and producing short travel films for a variety of clients, including National Geographic. His movie about Iceland, “A Thousand Autumns,” won awards at the Johns Hopkins Film Festival, the Reykjavik International Film Festival, and the Trento Italy International Film Festival. For the last three years, one of his self-produced, one-man-band travel documentaries has placed either first or second in the prestigious Lowell Thomas Awards for Video Broadcast, sharing those top honors with films produced by much bigger and better-financed crews, like those from PBS prime time, CBS’s Sunday Morning, and the New York Times.